For those who are not aware, once a month I moderate webinars for momsfightingautism.com. It’s a great resource because I interview all kinds of experts working in the field of autism and you can send in your own questions to be answered. You can listen in for free live the night of; after that you can download it for a fee by that organization. Tuesday March 23 at 6:00-8:00 PST, my guest is Nancy Brady, MA-EdSP, ATS. Nancy is an Inclusion Specialist and Assistive Technology Specialist who strives to include those with the most severe disabilities in general education classrooms. She has been working for the past 7 years on including those who have autism and are nonverbal in the general education classroom environment, advocating and emphasizing literacy opportunities through the use of Assistive Technology. Nancy is actually my son’s inclusion specialist, so I can personally attest to her talents. Life has been much easier for me in terms of my son’s education and inclusion in the general education population. We had a willing school and wonderful staff, but having Nancy’s expertise in there has made my son’s experience so much more effective. The topic of the webinar is Successful Inclusion: Providing Literacy Opportunities to Students with Autism and some of the points Nancy will be covering include: Inclusion as a philosophy; Accommodations vs. Modifications; “Bottom up” support strategies; Teachers’ attitudes toward inclusion; Literacy Ladders vs. Literacy webs; How to create a successful team; Assistive Technology in the general education classroom; Independent Yes/No and A-B-C-D multiple choice – high tech vs. low tech; Motor planning in Autism; Presuming Competence as the Least Dangerous Assumption. More things to know about Nancy: Nancy has a Bachelor’s Degree in Communication Studies and Sociology from UC Santa Barbara, and a Masters Degree in Special Education from Chapman University. She received her certificate in Assistive Technology through the Orange County Department of Education and California State University, Dominguez Hills in 2009. Nancy completed the Mentorship Project for Communication Partner Support through WAPADH in Santa Fe Springs in 2008 and the FC Institute Summer Conference at Syracuse University in New York in 2005 and 2006. Nancy is a professional member of RESNA and a parent member of TACA. Nancy’s agency, S.T.A.R. 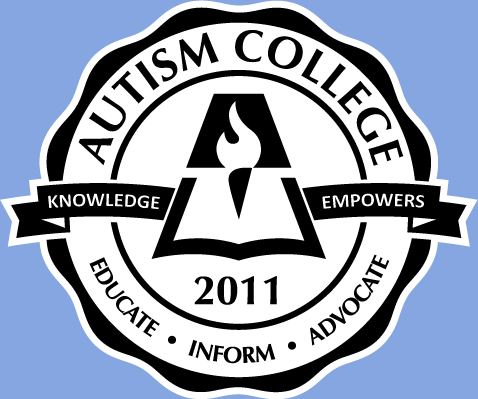 – Supported Typing and Autism Resources, is located in Laguna Hills, CA and teaches those who are unable to communicate verbally an alternative communication strategy using Assistive Technology. Also, this week, my latest book 41 Things to Know About Autism is being published by Turner, just in time for April – Autism Awareness Month. I wrote this book for the parents who wanted a book to hand their relatives and neighbors so they could ‘get’ what they are living though. It’s a small book and a quick read, great for spreading community awareness.